Two oversize concrete marrows, bruisers who’d win any country fair, sit either side of the Henry Moore Institute’s entrance. One lies flat, supine, the other curves its ends upward - each inevitably phallic. They’re also irresistibly inviting: when I exited, grateful posteriors occupied both. 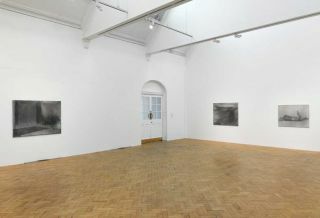 The marrows are perfect heralds for the show inside, concerned as it is with how sculptural objects of ‘ordinary things’ might be like the human body, and able to make the spectator acutely conscious of their embodied state. 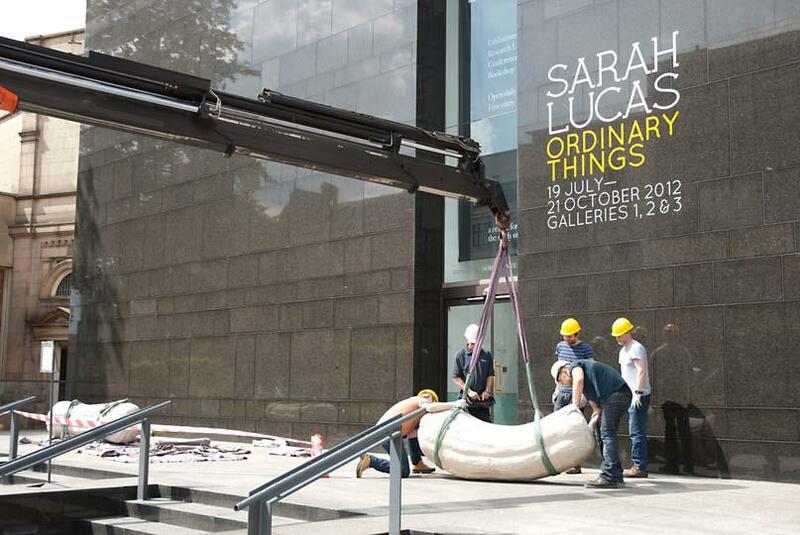 Lucas’ name inevitably comes with the YBA tag, and her sculptures retain a sense of ‘90s nudge and wink. 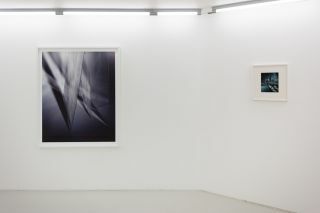 But the innuendo and euphemism in Ordinary Things has a serious intent, while the rigour with which Lucas addresses sculptural form, tradition and, most importantly, material, lends the show a surprisingly elegant, refined edge. 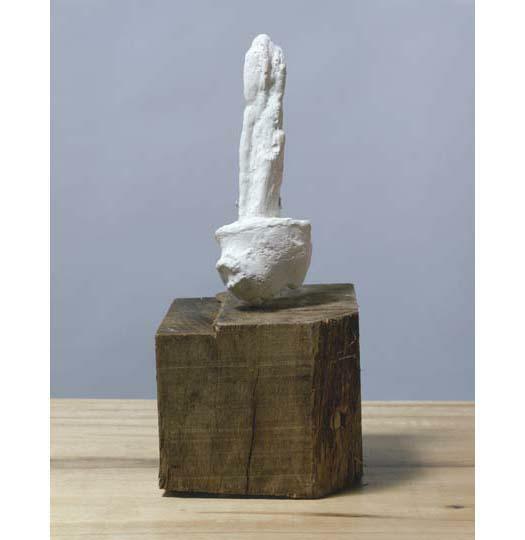 As if easing the transition from YBA excess to artistic maturity, the first work greeting visitors in the exhibition proper is Suffolk Bunny (1997-2004), a sister of the more famous Bunny Gets Snookered (1997). The bunny’s stuffed-tights legs, clad fetishistically in turquoise stockings, loll apart, at once sated, exhausted and violated, fantasy and nightmare combined. The bunny’s arms (or playmate ears) are clamped painfully to the chair on which she sits with a bright red vice. 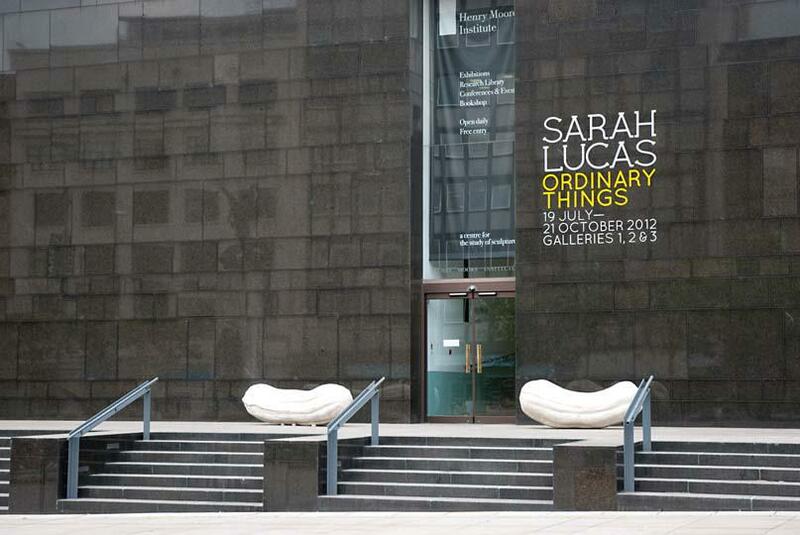 Impossible not to think of it as a she: with such economy Lucas skewers the bodily and cultural constructs that attach to ‘ordinary’ materials. 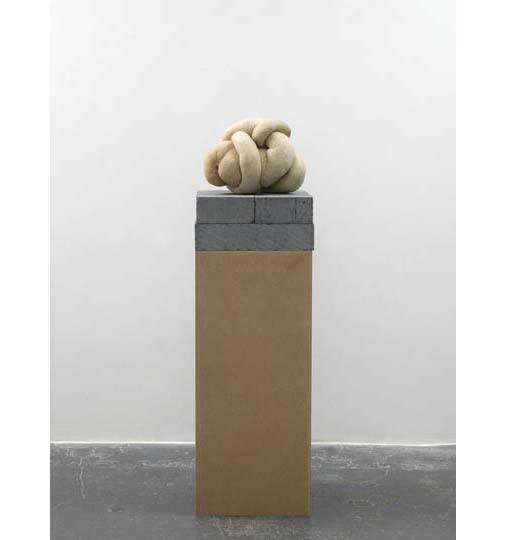 Behind the bunny lies the exhibition’s most recognisable work, Au Natural (1994), its mattress hugging the floor and just managing to lift its head against the wall in weary comment on the reductive repetitions of sexual difference. 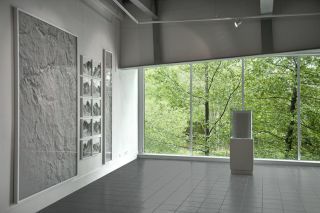 That there might, however, be a tenderness to the bodies figured by Lucas’ melons, bucket and cucumber is suggested by the nearby Unknown Soldier (2003), in which a Flavin-like fluorescent tube, placed vertically between two concrete casts of army boots, memorialises lost, vulnerable flesh. 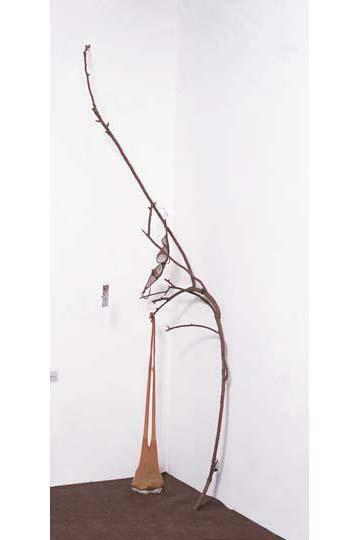 This is just one example of how Lucas’ sculptures speak to each other; exchanges that the curatorial strategy in Ordinary Things brings out beautifully. The second room is simultaneously more cluttered and austere, with multiple works arrayed in rows like classical pillars. Many of these are NUDS, uroboric arrangements of stuffed flesh-coloured (beauty industry shorthand for ‘caucasian’) tights: intestinal yes, but also protective, like children or small animals curling in on themselves. The NUDS combine volume with lightness - you want to touch, lift them up. They sit on plinths of MDF and breezeblocks at various heights: one moment you’re on uncomfortable eye level, then you’re looking down. The resulting power shift is vertiginous. The last room makes good use of the awkward cave-like space at the back of the HMI. 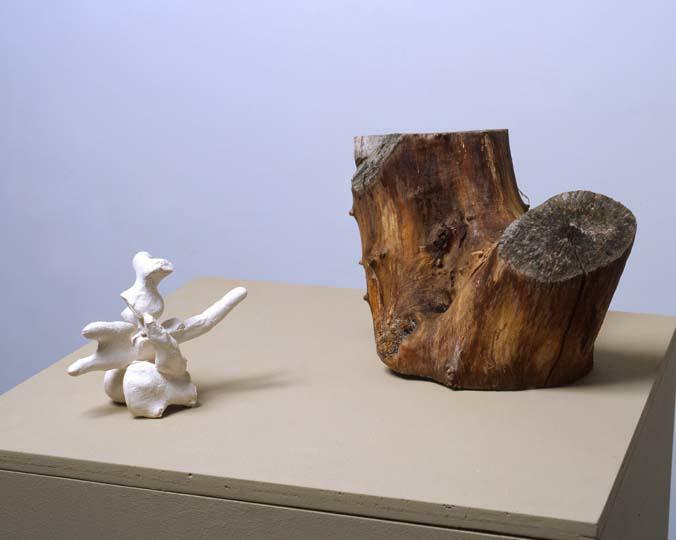 Smaller works - concrete casts of a courgette and corncob, a ‘tree-nob’ of plaster and bandages emerging mushroom-like from a wooden stump - are laid out as if on a consulting room table for inspection. 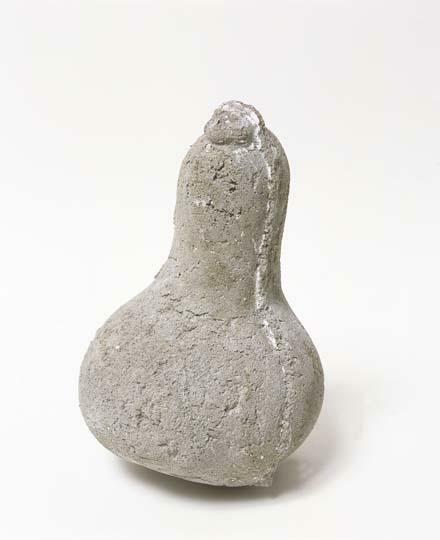 The atmosphere is intimate, befitting objects that admit their mortality (a concrete cast of a gourd fissures with a crack), and stand for private parts. 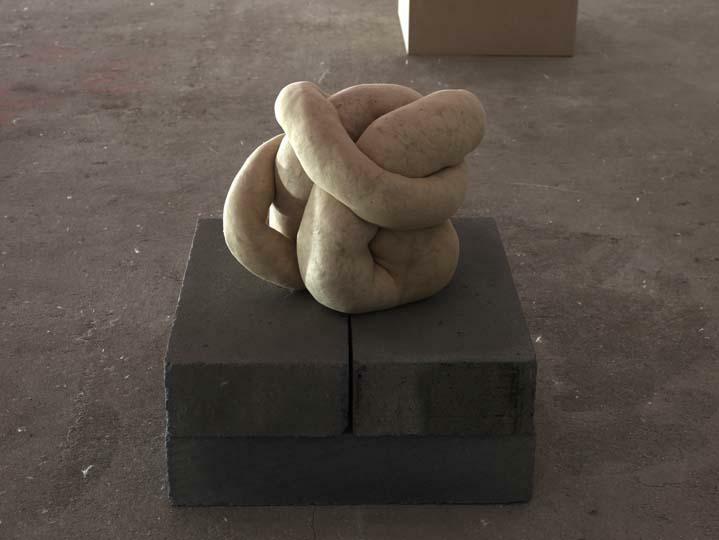 The body is everywhere in Lucas’ sculpture, but rather than mock this obsession, Lucas respects flesh’s anarchy, susceptibility and capacity to astonish or betray us, however well we think we know it. 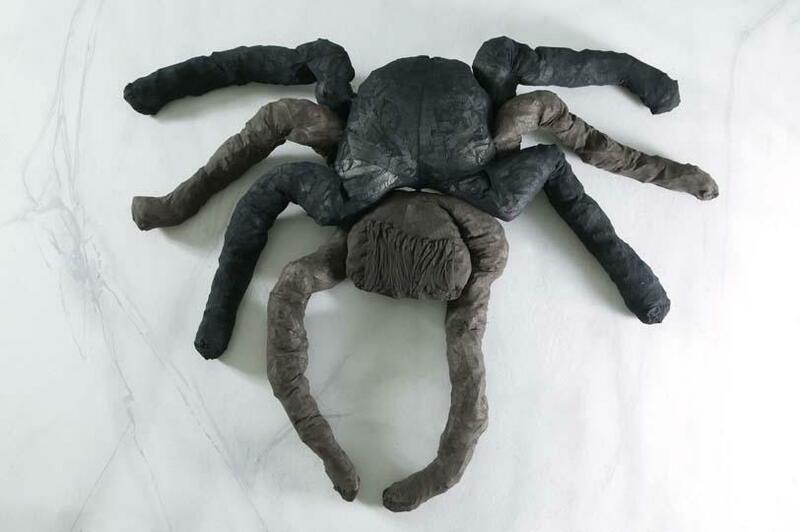 The same can be said of the sculpture itself: in Ordinary Things, it leaps on and off plinths, hangs from the ceiling, slumps over the floor and leans on the walls, encompassing tights, concrete and plaster - protean and energisingly inventive.